I wasn’t compensated for this post, but I received a free product in exchange for a review. All opinions are 100% mine). 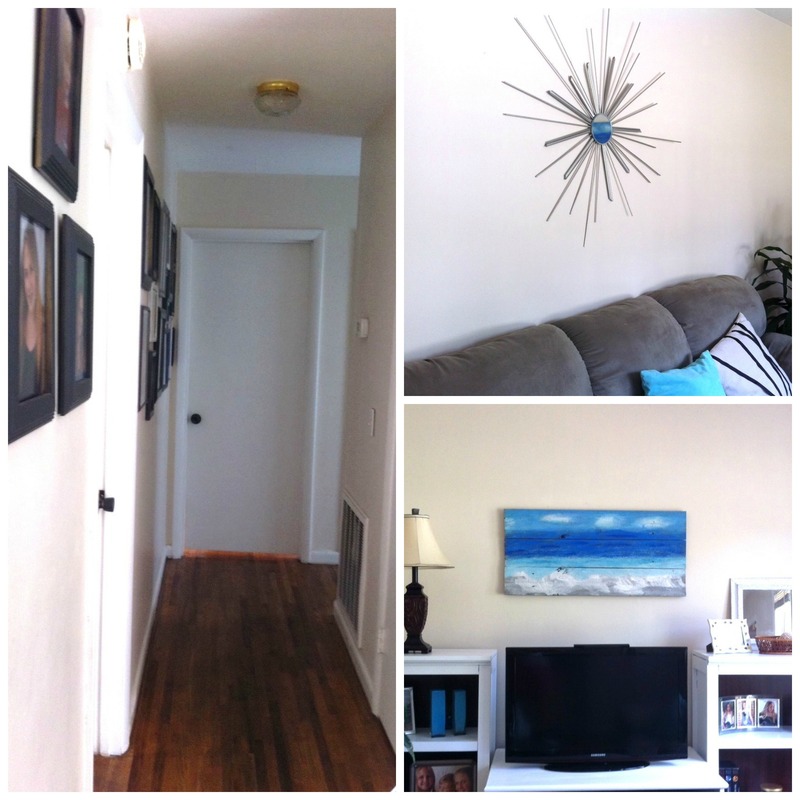 After I bought our current home, the kids and I had one week to make the house livable before my lease on our rental expired. 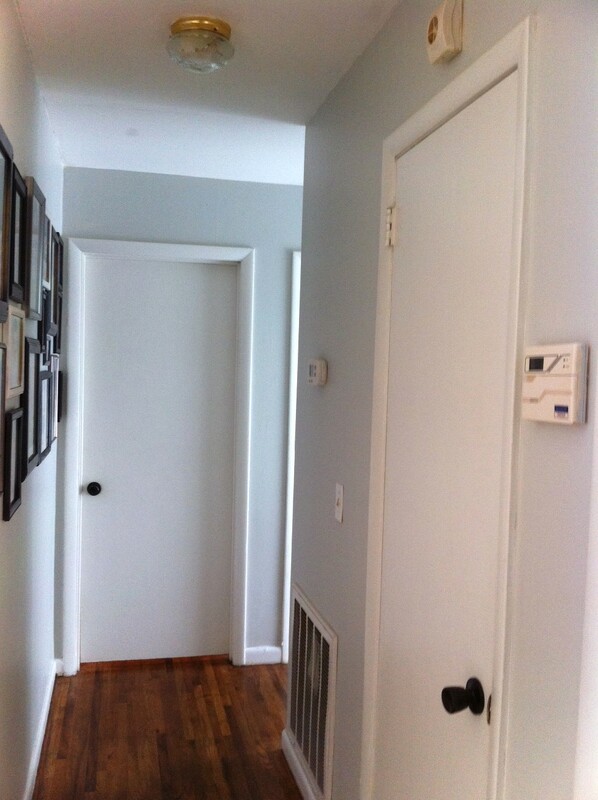 To get rid of the awful smells the previous owners had left behind (cigarette and cat smell), we removed all carpeting, refinished the hardwood floors and painted every interior wall, trim, closet, and door. Needless to say, it was a lot of hard work, sometimes lasting into early morning hours. Since I was on a tight budget, paint and paint supplies were purchased in the sale’s sections at Lowe’s and Home Depot. Basically, we got what was there. We ended up with colors we didn’t like much – most were the kind of beige you see in apartments. Not horrible, but not my favorite, and better than what the previous owners had. 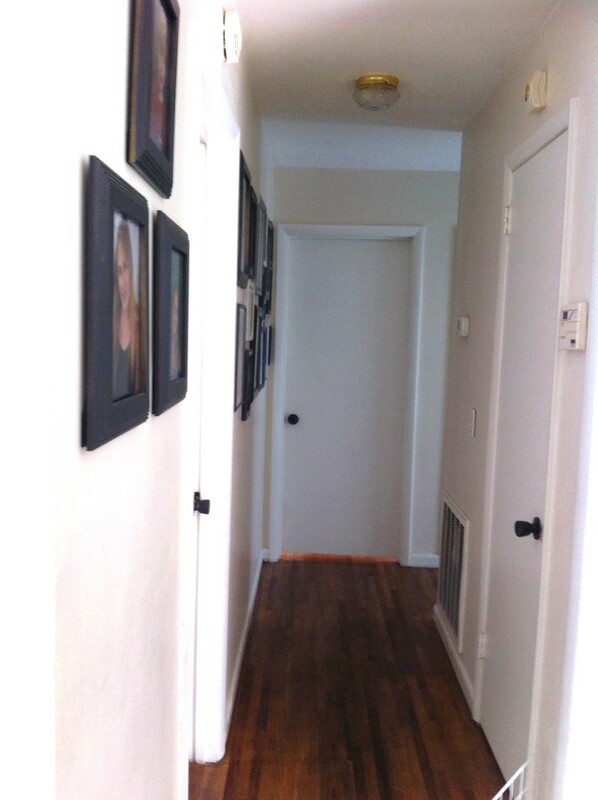 The wood floor and the white trim didn’t pop against this color. The thing is, I was over this beige in no time. For months, I searched for the perfect color for my walls, and then I found it. 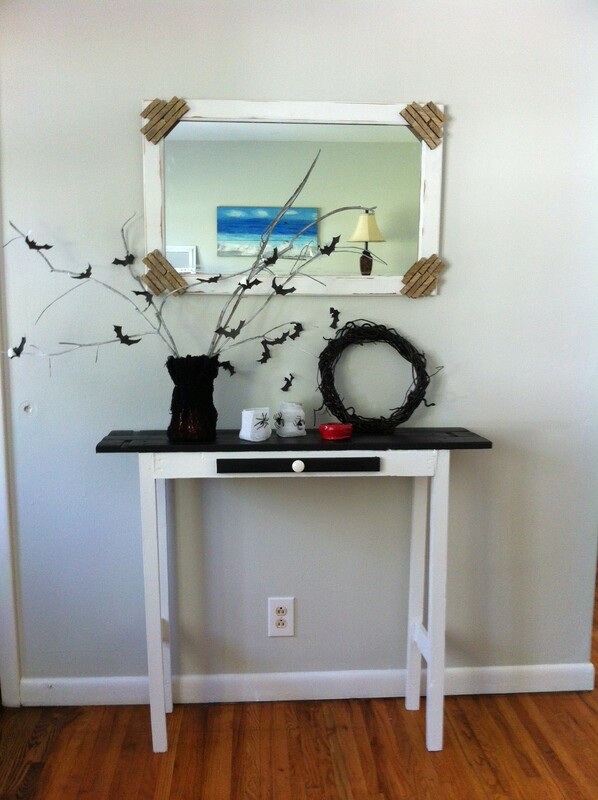 Benjamin Moore “Moonshine”. I fell in love with this color and couldn’t wait to get it on my walls. It was the perfect combination of grey and a hint of ice blue. Clean, crisp with a punch. So you can imagine how excited I was when I received an opportunity to try my favorite color. With this paint color I really wanted to do an extra great paint job, so I visited a Benjamin Moore retailer in Nashville to get some expert advice. While painting isn’t terribly difficult and doesn’t need specialized training, many homeowners underestimate the job’s complexity, I was told. “How so?” I asked. Here are the most common mistakes the knowledgeable sales person has seen people make. 1. Underestimating the amount of time for the job. Painting a wall isn’t just about painting. The job requires prep work which involves cleaning walls, patching, sanding, and sometimes priming. An average 13’x13′ room will take a day just to prep and dry. 2. Choosing the Wrong Color. Here’s something I didn’t know. Painting color selections on the wall is apparently the worst way to select a color. Instead, move the samples to every wall during different times of the day to get an idea of how natural light affects the color. 3. Choosing the Wrong Finish. I’m guilty of that. I chose a flat paint finish for my son’s room. Within two days, he left finger prints on the walls which were hard to remove. Now, I always use eggshell or semi-gloss. 4. Using the Wrong Tools. I’m guilty of that as well. I’ve used the dinkiest of brushes which only prolonged the job and created a mess. Not investing in correct tools and drop cloths only makes the project more difficult and time-consuming. It’s important to invest in the proper tools to make paint application cleaner and more efficient. 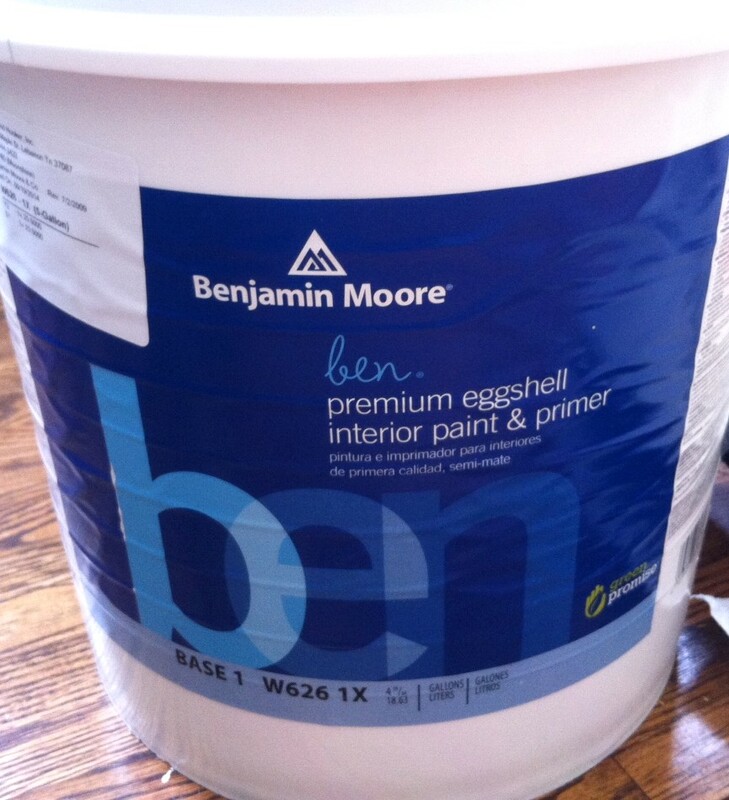 And don’t forget to look for low or zero VOC paint like Benjamin Moore ben to keep your home safe and chemical free. 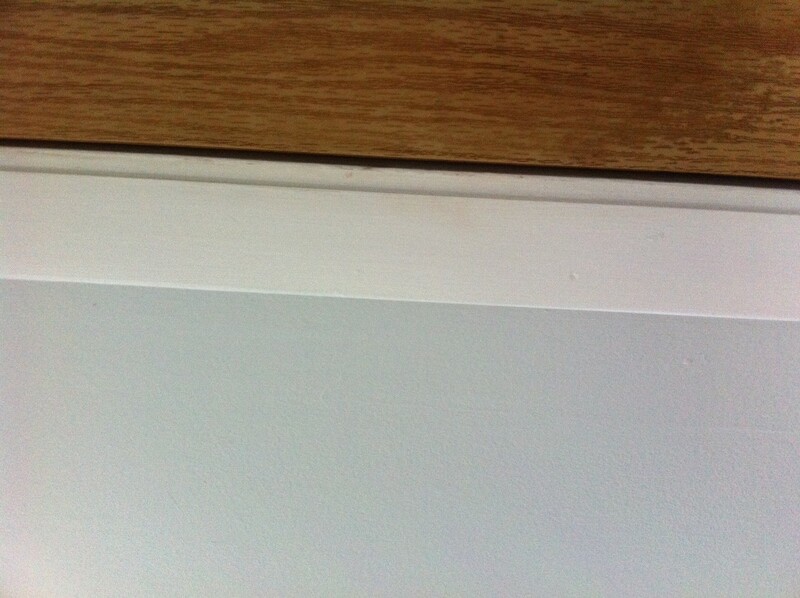 Benjamin Moore ben is also very durable and covers well. I love my new color. The house feels fresh and airy. I prefer gray tones over beige – they just give this clean look. Even though painting takes time, I don’t regret repainting most of my walls again. I have to look at them every day, might as well LOVE the color. 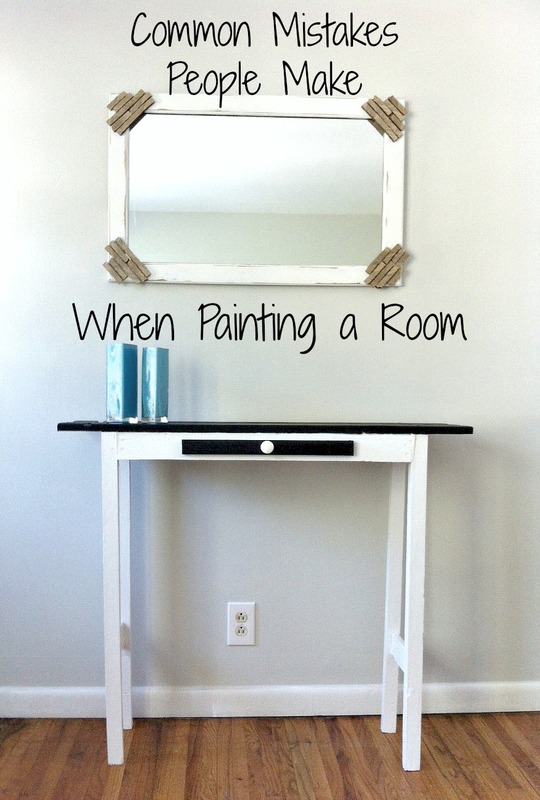 Remember, any able-bodied homeowner can paint rooms—all you need is a little practice, patience, and some helpful advice. I linked up to Remodelaholic.